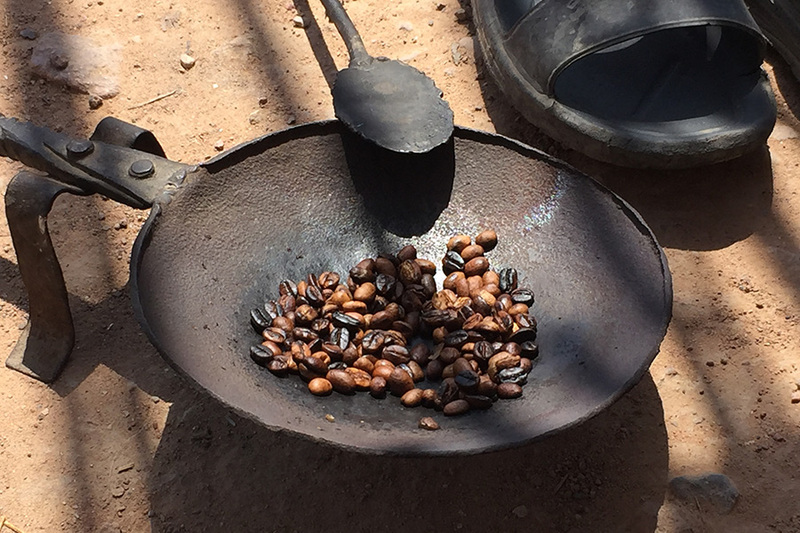 A centuries-old tradition for making coffee. All photos by Anja Mutic. You think you take coffee seriously? Wait until you see how Bedouins brew the good stuff. JORDAN – "When you make your coffee, you make it the best. 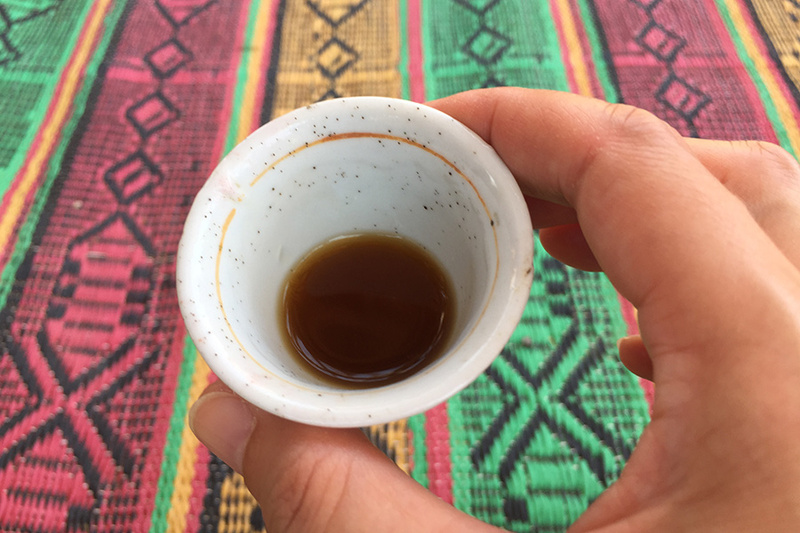 Otherwise you better not make it," says our Bedouin guide Suleiman as we each sip our al keif, the second cup of coffee that his neighbor Abu Mohammed just poured from a long-beaked brass pot into tiny china cups. In a Bedouin home, though guests come first, they are given the second cup of coffee. The first cup, known as al heif, is poured and tasted by the host, to show to the guests that the coffee is fine. Then it's on to al keif, which the guest has to pick up using their right hand. Never the left. 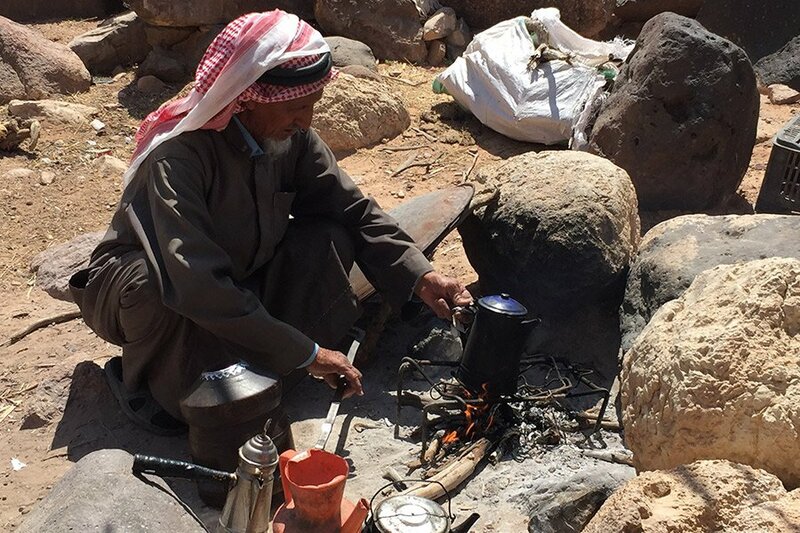 And even if you're jonesing for that fourth cup, the Bedouin coffee ritual is capped at three. One, two, or three cups are fine. Never four. Drinking coffee in Jordan is no joke. I come from Croatia, where coffee is a way of life. So to come to a place where coffee drinking is an even more serious affair is, well, a serious affair. In Jordan, drinking fresh cardamom-spiced Arabic coffee is a stylized ritual with its own set of strict rules. It also has its music and poetry. I had come to Jordan to attend the inaugural AdventureNEXT Near East, a regional conference showcasing the adventurous side of this ancient country. 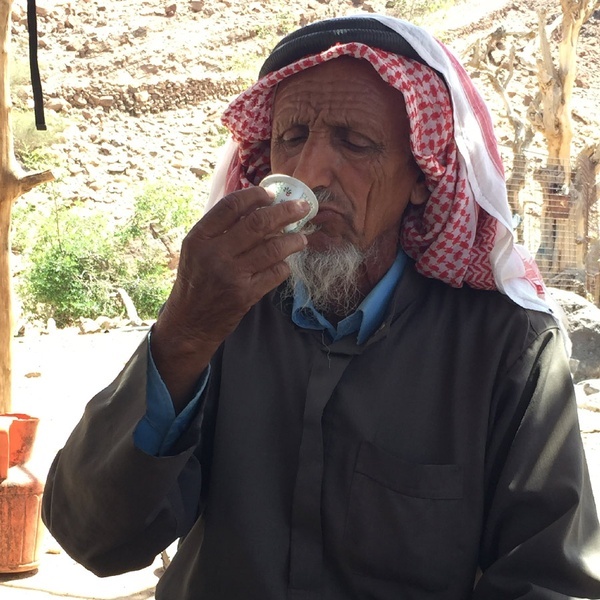 Adrenaline-wise, there were other highs on my trip with Experience Jordan, but drinking coffee with Abu Mohammed was a standout cultural adventure. It is midday in Dana Biosphere, Jordan's largest nature reserve, as our small group of ten approaches Abu Mohammed's tent, made, in typical Bedouin style, from goat hair. It is so hot that the rare spots of shade we come by and hide in feel like smoothest silk. We had an early morning walk through Wadi Dana, the valley closest to our base, Feynan Ecolodge. By the time we reach the tent, I am craving a cup of coffee. Abu Mohammed takes a sip. "Herrrhem! Herrrhem!" Suleiman clears his throat loudly as we approach. It seems dramatic, as Mohammed knows we are coming. It's not a spontaneous drop-in for coffee, but an activity offered by Feynan. The lodge works directly with the surrounding Bedouin communities to showcase their traditions to visitors. Still, we're all keeping it real, taking our cue from Suleiman and clearing our throats to announce our arrival. "Herrrhem! Herrrhem!" Abu Mohammed welcomes us with a subtle smile and a slight bend. In a brown dishdasha, the traditional dress worn by Arab men, over a sky-blue collared shirt, his head wrapped in a red and white-checquered headscarf, he gets to work. The fire is on and the wood is burning; white broom and acacia are most often used for roasting coffee. His grandson, a boy of about ten with curious eyes and a Barcelona tracksuit, hangs around to assist. Coffee is only made by men, an undisputed tradition that goes back hundreds of years. Then magic happens. Abu Mohammed takes the roasted beans, puts them in a mortar, and begins to pound them with a pestle. This, an entrancing beat, becomes music. We all go quiet. The traditional coffee-grinder, mehbash, is not just for grinding beans. It is played by the Bedouin, who crush coffee to a rhythmic tune, using the mehbash almost as an instrument. "It's the sound of hospitality," Suleiman explains. "Once you hear it, that means guests are coming, it's coffee time, and everyone is most welcome to join." As Mohammed pounds the coffee, I'm spellbound by the beat and his sun-creased wrinkles that seem to hide a thousand losses and secrets of these desert sands. It sounds like poetry, without words. I am strangely sad when he stops. "Us Bedouin," says Suleiman, "we love to write poetry. Our life is all about nature, no stress, a good feeling. We often write about coffee, from the color of the bean to the tools and the cups, and even the firewood we use for roasting." Mohammed fills the pot with the ground coffee, adds green cardamom seeds, and continues boiling the combo. When the coffee is ready, Mohammed does al heif, the ritual first tasting of the coffee. The tiny cups, feenghal, are then passed around, guest by guest. I'm sitting toward the end of the circle, eager for my turn. By the time I'm served my cup, which I dutifully pick up with my right hand, I'm surprised how little coffee there is inside. "There shouldn't be too much coffee in the cup, but it should be extremely hot. Hot enough to scare your mustache, as we say," Suleiman chimes. The coffee is passed around the tent several times. If you don't want a second cup, you shake it, wiggling your wrist a few times to indicate you are finished. If you do want a second cup, you give it back without shaking, and the host will pour you another. After three cups, you shake the cup, indicating your refusal of the forbidden fourth cup. In Abu Mohammed's tent that day, I only make it to my second cup of coffee. The third will have to wait. For my second visit. Anja is a writer who travels and a traveler who writes. You can follow her at @everthenomad on Twitter and Instagram. She travels for a sense of home and for beauty between the cracks.